Greetings dear friends of Merapi, we hope you are well! 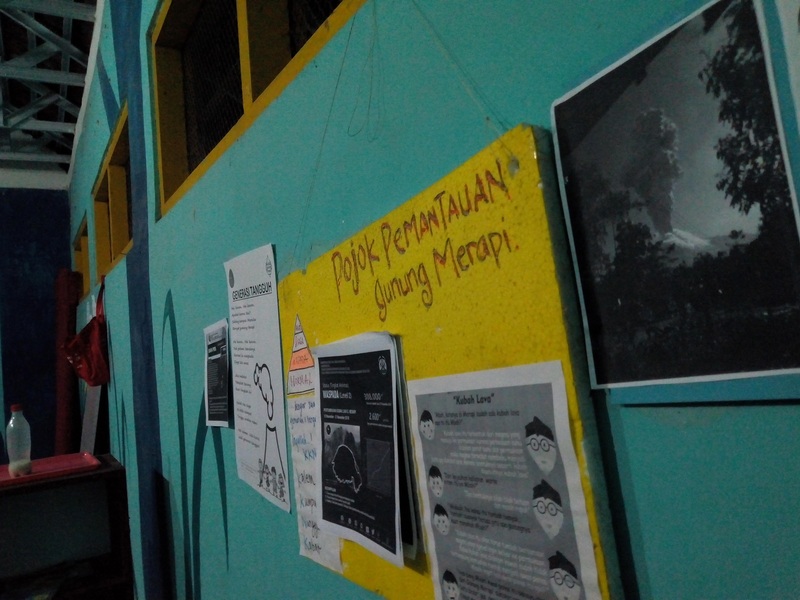 Half term has finally arrived at Sekolah Gunung Merapi, and what a busy two months its been so far! We would like to share with you some of the highlights of this term so far. It is thanks to all our amazing donors and supporters that we are able to have so many interesting books in our library. Since the commence of the new term in August 2018, we have also set up and introduced a new computerised borrowing system for our library. It makes it easier for us to review the reading progress of each and every student and monitor the general circulation of books. 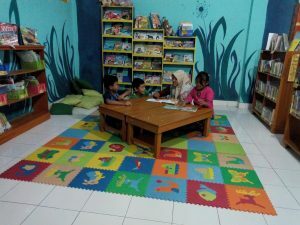 We also give support to every student of Sekolah Gunung Merapi to express their personal review of each and every book they read and return. The aims of this is to encourage students to develop their own opinions, develop their skills in critical thinking, build their confidence in discussing and give an increased sense of responsibility and independence. To further increase and maintain students’ enthusiasm for reading, we have also given the chance for every student to compete in our Reading Challenge to read at least 20 books before the end of term. All students who can complete the challenge will get a special reward. So far we’ve seen some great results as the students are really enthusiastic for reading books to the point that they even compete with each other to read as many books as they can. Due to increased volcanic activity, since June 2018 Mountain Merapi’s status has been increased to Level 2 or “Advisory”. Thus it is vital that all residents living in our community and other red zones on the slopes of Merapi must increase their vigilance. In lieu of this, this semester we have decided to support this by giving extra focus in all our activities to mitigation education for our students. Since the start of term, we’ve transformed a corner of our teaching area into a ‘Mini Merapi Monitoring corner”, where we take time after each class to examine and discuss new monitoring reports about merapi and volcanic processes. It also gives the students a regular opportunity to ask questions, as well as voice their fears and concerns. 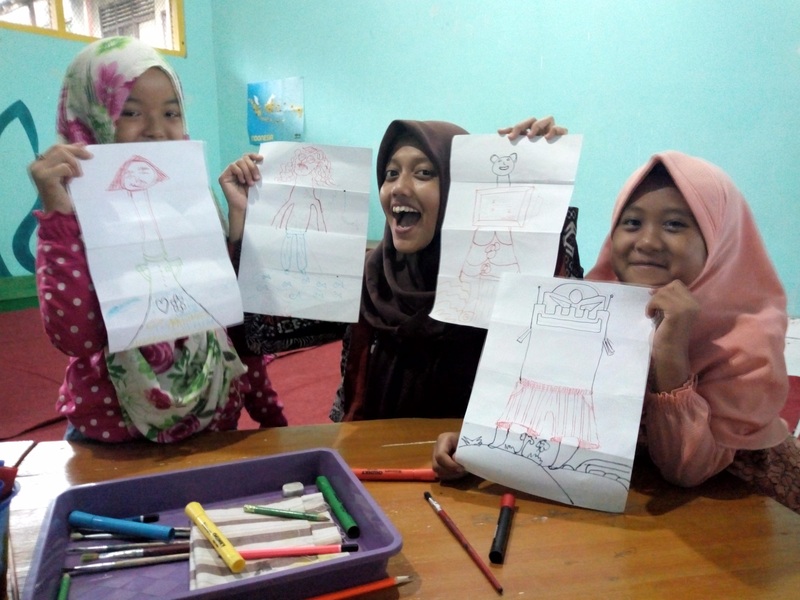 By supporting children to gain a deeper understanding of the types of natural hazards that may affect them, we believe we can better emotionally prepare young people and thus build increased resistance to disaster, with the potential even to reduce the risk of young people developing long-term trauma in future disasters. As further part of our mitigation program, on the 19th October 2018 we invited Mart Widarto, an expert in possession of years of experience working in community based mitigation and disaster management, to give an educative workshop about Merapi to our students. Firstly he asked our students to make a Mount Merapi replica using some materials which could find round of our school. The result of which was used to demonstrate the differences between effusive magmatic eruptions and explosive magmatic eruptions. To solidify all this information, we are also planning our first school trip to the BPPTKG head offices of Yogyakarta, this is the organisation responsible for all the monitoring activities of Mount Merapi. This trip is also open to the students parents which we hope will help to strengthen the disaster resistance of the whole family. 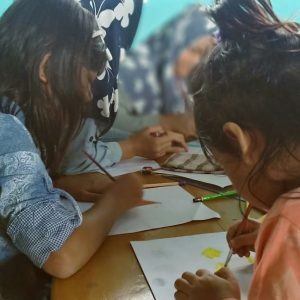 Every Friday afternoon we host “Creative Friday”, a special event dedicated to hosting activities that can encourage our students to be more expressive, imaginative, creative and to increase their general knowledge about the world and also some of the global challenges we face. This semester we’ve been focusing on four main themes; rubbish & recycled crafts, drawing, singing and multiculturalism. Indonesia is the worlds’ second greatest producer of plastic sea waste. In recent two months we’ve been trying to build awareness about this through story-telling, presentations and the creation of handicrafts from recycled materials. Asides from also helping to recyle and reduce the rubbish produced at school, we hope to build a sense of care for the environment and animals while also increasing students’ creativity. This term we’ve also started our first school singing group, guided by Nisa, a long term volunteer of us with a lot of love and experience of choral sining. The theme of singing class is “Dolanan lan tetembangan’ meaning ‘singing and playing’. 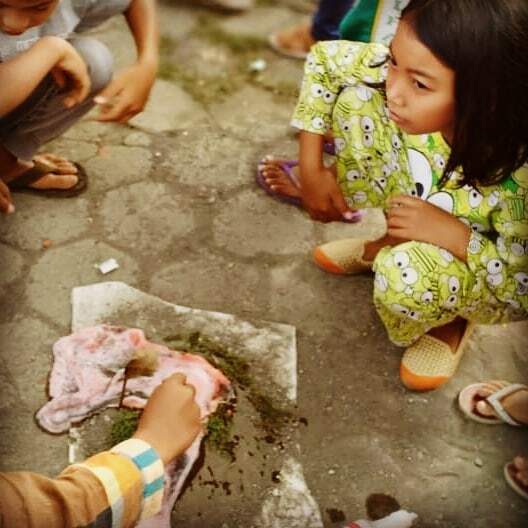 This term Nisa has been teahcing some traditional Javanese folk songs that are also accompanied with a game such as Cublak-cublak Suweng, Dingklik Oglak Aglik, Padang Bulan, and Ular Naga. By intertwining the experience of singing with play, the class aims to build a passion for music, while also conserving the traditional musical games of Java. Other things new to Sekolah Gunung Merapi is our Honesty Canteen. We sell simple snacks, drinks and fruits all with the concept of honesty, in that the customers must take full responsibilty to select and pay for their items by themselves. The aim of the Honesty Canteen is to encourage and normalise independence and honesty in its users with another benefit of getting its users to practice their maths. The canteen’s fresh fruit is also helping our young students to get extra vitamins in an area where access to a large variety of fresh fruit is often difficult. That’s all from us at Sekolah Gunung Merapi’s for now. Hopefully we can be a motivation for the local community near and far to increase their passion for learning. As always we leave with special thanks to all our amazing volunteers, donors, and other people who have helped and supported us time and time again. For further information, please follow us on our website, Facebook, and Instagram. ← School renovations: finished at last!